This post was first published by My London on 18/03/2019. It will cost £1.4 million to run the state-of-the-art centre each year. 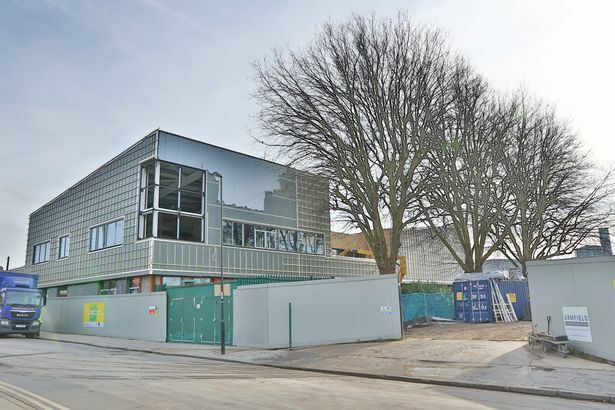 A new state-of-the-art £6.5million youth centre which could transform the lives of many young people in Croydon , is to get another hefty boost in funding to help it on its way. The £6.5million Legacy Youth Zone off Whitehorse Road is set to open later this year. And it has just got a boost in the shape of a £75,000 donation from Chequers Contract Services. The Croydon-based cleaning and facilities maintenance company, has also pledged to give £25,000 to Legacy each year for the next three years. This will go some way towards the £1.4 million-a-year annual cost – Croydon Council will also make an annual contribution of £300k. Half of this donation will be made via Chequers’ joint venture company Renovo Facilities and Services Ltd created in partnership with housing association One Housing. CEO Rosaleen Liard, CEO of Chequers Contract Services, said: “We have built our business on family values including creating a footprint for the next generation. “As a joint founder patron of Legacy Youth Zone, we are continuing this journey in investing in our local youth. The new youth centre will be open every night after school and at the weekends for children aged eight to 19, and up to 25 for young people with disabilities. After paying a £5 membership fee, youngsters pay just 50p a visit and can take part in as many activities as they want. At Legacy there will be an indoor climbing wall, fully equipped gym, music room with recording studio, training kitchen, 3G pitch and a dance and drama studio. There will also be enterprise and employability workshops on offer to help get young people into education, employment or training.